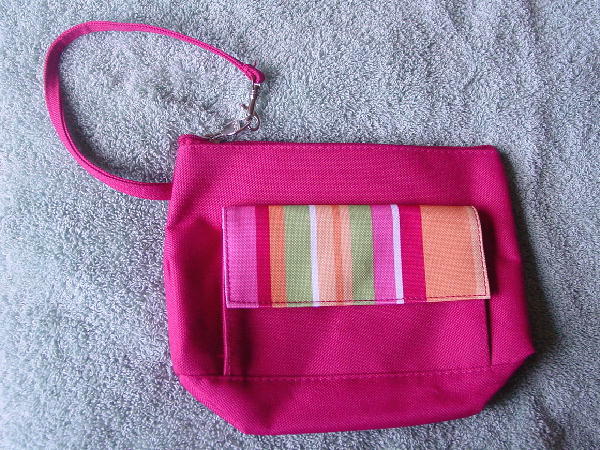 This never-used rose color fabric cosmetic bag can also be used as a purse. It's by Lancome and has a front pocket with a snap closure under the multicolored striped lid. The top has a side to side zipper with a silver-tone metal logo pull with an 11" by 3/8" hand strap. 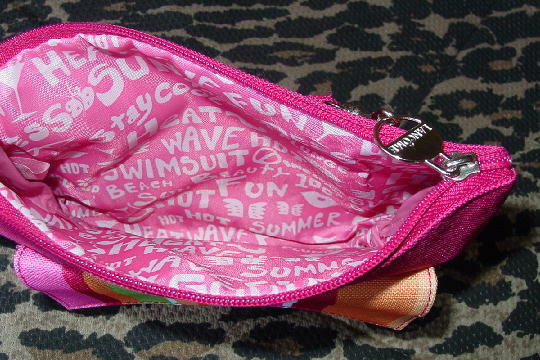 There is a dark pink plastic lining with symbols and sayings (Stay cool, Heat wave, Take the plunge, Hot, etc.) in white.